This is a DVD where if you put the work in, you will get a lot out of it. Or take a more relaxed approach and just enjoy a fine selection of master games, easily and masterfully explained. MASTER METHOD - The Ekaterina Atalik Method - IM Ekaterina Atalik - Over 15 Hours of Content! 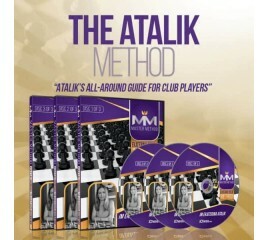 IM Atalik leaves no stone unturned in improving your game. The insights and advice contained in the Ekaterina Atalik Method will save you from years of hit-and-miss learning and give you powerful ideas and training methods you can put into practice right away. MASTER METHOD - The Gormally Method - GM Daniel Gormally - Over 15 Hours of Content! 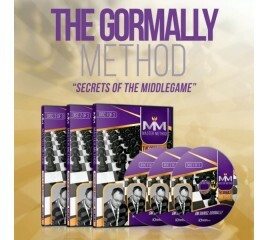 GM Daniel Gormally, in his trademark entertaining and informative style, explains how to master both the strategic and psychological problems players face in real games.The chess middlegame is where you outclass your opponent – not by memorizing lines, but by the depth of your deep chess understanding and first-rate calculation skills. 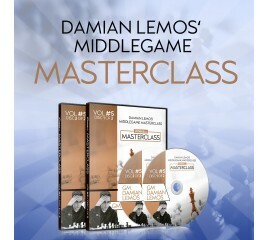 Discover the secrets of middlegame strategy with this new, 9½ hour course from GM Damian Lemos! Through the analysis of 16 carefully chosen games, Damian explains the best guiding principles to follow in order the handle any middlegame position! 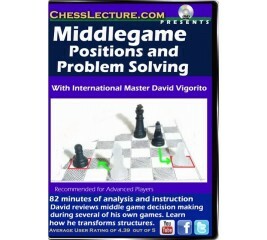 Lilov Chess Institute - #4 - Secrets of the Middlegame - 2 DVDs - IM Valeri Lilov - Over 11 Hours of Content! Inject more power into your middlegame play with IM Valeri Lilov’s 11 hours intensive course on the 5 skills all successful players must master. 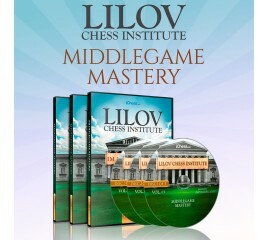 Lilov Chess Institute - #3 - Middlegame Mastery - 3 DVDs - IM Valeri Lilov - Over 19 Hours of Content! 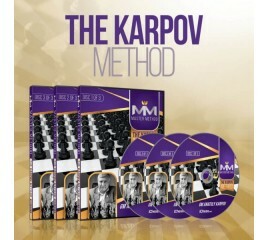 Split into 3 sections (Positional play; Planning; Calculation and practical play), Middlegame Mastery gives you everything you need to achieve your potential in chess. If you’ve ever found yourself sat at the board wondering what to do, or have struggled to balance your own attack with the threats of your opponent, IM Lilov has pro level insights that will ensure you call the shots. Grandmaster Damian Lemos analyzes 4 amazing games, including wins by Magnus Carlsen and Alexander Grischuk, that demonstrate strategic decisions and positional methods which will seriously boost your rating. Each game finishes with a spectacular breakthrough that will give you new tactical patterns to use as well as train your calculation. From evaluating sacrifices and balancing attack with defense to strategic manoeuvres and handling different pawn structures, GM Lemos’ clear and instructive commentary will enable you to instantly understand the position, make the correct decision and win with flawless technique. Damian Lemos has selected the most important chess middlegame topics for you to understand, explains the concepts behind them and then demonstrates them in action with 4 fascinating battles between top players including Judit Polgar. 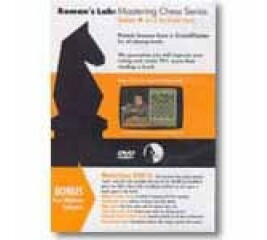 In this DVD, GM Damian Lemos reveals the ideas of the middlegame and explains to you how a GM thinks throughout the game. 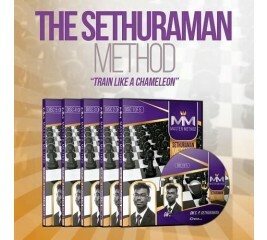 It also focuses on how Super GMs calculate and teaches you to change how you think. This work is presented across extensively-analyzed and annotated games in which GM Lemos explains the plans and ideas behind each position after every move. How many games have you won or lost due to tactics? Think about how many decisive victories have come by attentively picking off an opponent’s loose piece via a combination. b>Hosted by: Grandmaster Roman DzinzichashviliRunning Time: Over 240 MinutesTransition to the Middlegame. Grandmaster Roman Dzindzichashvili discusses key features of early middlegame positions - pawn structures, how to build attacking positions. 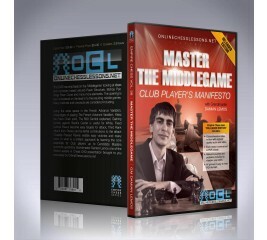 This DVD provides an invaluable guide to successfully transitioning from the opening to the middlegame. 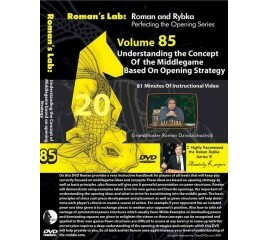 On this DVD, Grandmaster Roman and Rybka provides a very instructive handbook for players of all levels that will keep you correctly focused on middlegame ideas and concepts. These ideas are based on opening strategy as well as basic principles , including a powerful presentation on the importance of pawn structures. 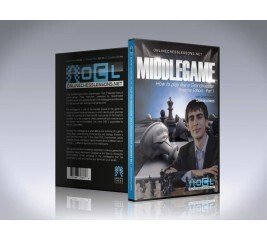 ¨Play the Middlegame like a Grandmaster – Part 1¨ features hours of action-packed chess instruction, presented by Grandmaster Damian Lemos who explains the art of the middlegame and focuses on how you can start winning more games now! The middlegame is one of the hardest phases in the game for beginner players because there are no strict rules to guide your play (unlike the opening) and there are still most pieces on the board to consider. 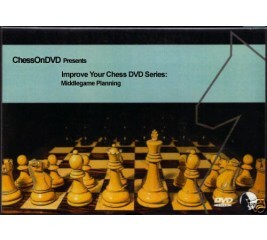 If you are a beginner chess player looking to improve your tournament results IMMEDIATELY, this chess DVD is GUARANTEED TO HELP YOU PLAY BETTER! Review middlegame decision making with David Vigorito. 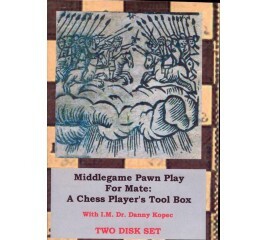 Middlegame play sets the scene for the endgame. 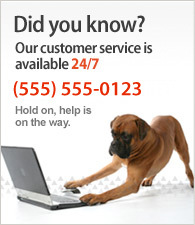 What material you have, where it is on the board and your options are considerations. Here David takes us through numerous middlegame problems, shows us the thought process for analyzing what to do, and solutions. 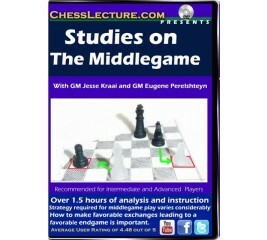 This 178 minute dvd is devoted to the middlegame, twice US Chess Champion GM Patrick Wolff (1992 & 1995) demonstrates how to best formulate plans and how to evaluate chess positions. Wolff deals with a variety of topics that have an influence on the objective evaluation of a position. 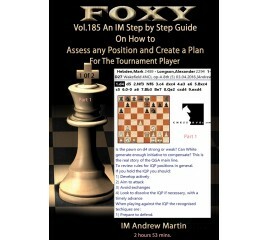 IM Andrew Martin will teach you how to play for a win in the middlegame. He explores the importance of king safety, pawn structures and piece activity. 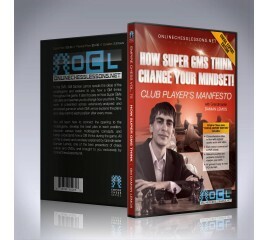 You will be well on your way to a better understanding and mastery of the middlegame. 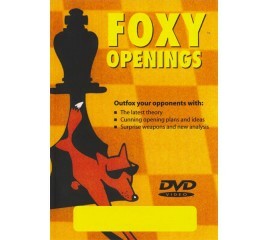 This monumental DVD covers a subject that is certainly not for beginners How pawns should be used in the middlegame to develop an attack on the opposing King. It includes 27 examples comprised of 7 complete games and 20 game fragments divided into three distinct Parts: King(s) Caught in the Center, Kings Castled on Opposite Wings, and Kings Castled on the Same Side. 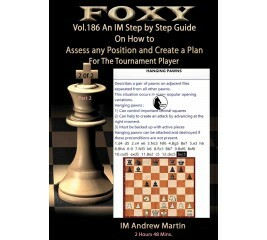 Material is illustrated from the praxis of many of the worlds great players including Alekhine, Anand, Topalov, Fischer, and a few postal gems from IM Kopec himself. Transition to the Middlegame. Grandmaster Roman Dzindzichashvili discusses key features of early middlegame positions - pawn structures, how to build attacking positions. 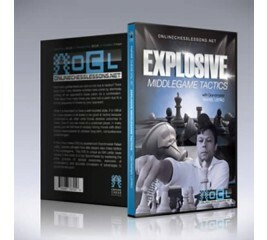 This DVD provides an invaluable guide to successfully transitioning from the opening to the middlegame. It is hosted by Grandmaster Roman Dzindzichashvili, former US and Russian Champion and Coach of World Champion Garry Kasparov. The most difficult phase of the game for beginner chess players is the middlegame because it is a constant time of transition, maximum tension, and a time of combining immediate tactical needs with long-term positional ideas. Most middlegames contain nearly all of the pieces still on the board, and the friction between opponents inevitably creates conflict, requiring complete attention to avoid forcing combinations. 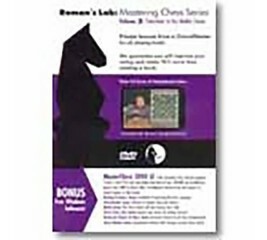 This chess video/DVD features hours of extremely high-quality instruction by experienced chess trainer Grandmaster Damian Lemos, reviewing the basic concepts of the middlegame and how to apply them successfully in your own games. Large material gains can end a game while it is still in the Middlegame. Here GM Kraai and GM Perelshteyn explore middle game decision making and planning to shape the end game with their own games as example. 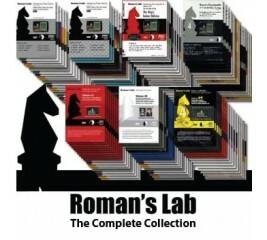 This DVD features the lessons 16-20 of GM Roman Dzhindzhikhasvili's Mastering Chess Series - The Art of the Middle Game. 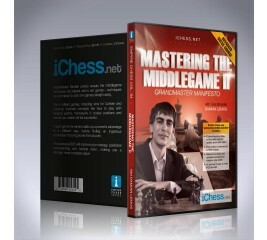 This DVD provides an invaluable guide to understanding and mastering the middlegame. It is hosted by Grandmaster Roman Dzindzichashvili, former US and Russian Champion and Coach of World Champion Garry Kasparov.